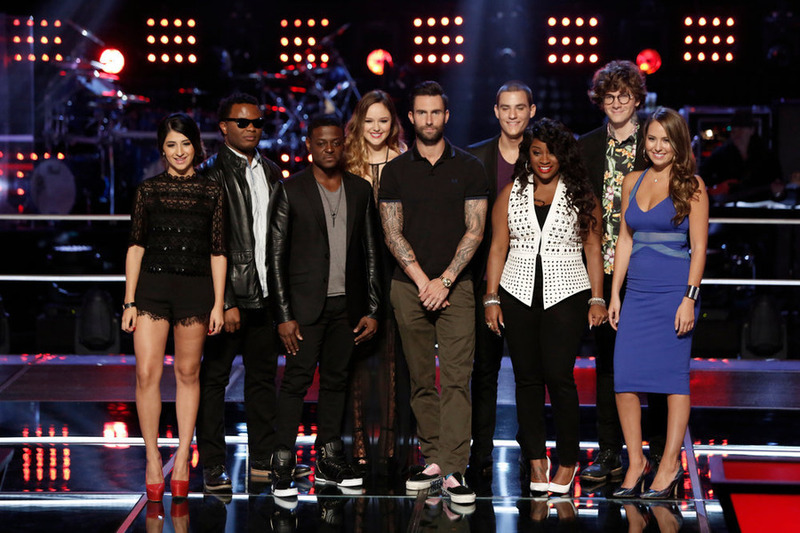 Are you ready for the start of the Knock Out Rounds on The Voice? Beginning tonight at 8pm on NBC, the remaining contestants will battle it out against a teammate one more time in pairs. Each artist will choose his or her own song and perform. The coaches will get a helping hand from country/pop superstar Taylor Swift. How have your family, friends and social media reacted to your performances on The Voice? Toia Jones: For me the response was crazy. It was bananas because, first of all, they had no idea that I had even auditioned for the show. They had not a clue that I was actually on the show and had gotten picked up by Pharrell. Basically, when they saw everything play out […] and they saw that Gwen and Adam turned around for me, it was like my phone is still going crazy right now. I’m just living the dream and I’m just so grateful for it. I’m grateful for them for how they have really rallied around me. Not only do they love what I do, but they believe in me as well as I do. Offor Blessing: For me, I’m always flattered when people say a lot of really nice things. As a kid, people would be like “Blessing, you’re so arrogant.” You know people would tell me I was arrogant and I never thought I was really arrogant. I knew I wanted to be a musician and I guess I – maybe as a kid I exuded that confidence a little too much. But it’s funny because when people tell me how amazing it is, it’s actually like no, no, no guys stop, stop; stop. It actually humbles me a lot which you’d think would be the exact opposite. You’d think I’d be like, “Yes, I’m pretty great.” It just like floors me because honestly I just – I’ve been doing this for a long time and I’ve been practicing. It’s not fun always to practice by yourself and no one is going, good job, you know, good job. There’s certainly not 15 something million people watching you. But to know that all that time pays off at some point is a really great satisfying feeling. And it just makes you want to work more I suppose. I can’t believe that there are people who’ve worked harder for longer and who haven’t gotten this far. I don’t know; it just makes me feel like I don’t deserve any of it. It makes me really grateful for all of it at the same time. Jessie Pitts: I’ve really enjoyed the positive feedback and my family has been so supportive. My goal when I was performing each time, [was] to do my best and for it to pay off and all the hard work to pay off. I have little girls like telling me that my story is an inspiration because they’re dealing with a certain thing that’re similar. It just – I can’t express how grateful I am and how flattered I am that I can – my voice can have such an impact on someone. Damien: I’m actually just truly grateful and just thankful to God that I even have an opportunity to be on a TV show like this. For years I’ve been doing this and I don’t know if it’s resonated – I know it’s resonated with me, but I don’t know if people get it. I have really been doing this for a long time and I have heard “no” so many times. I’m just really and truly grateful for the opportunity and when people come up to me I’m really thankful because there are plenty of people out there who are dying to be in the spot that I am. Just a month ago, nobody even knew who I was other than close friends and stuff like and maybe some YouTube people or whatever. I’m just thankful for the opportunity and I appreciate it so much, and it really means a lot. Mia Pfirrman: I think it’s been really fun, I think it’s been a really great experience to see just how everybody reacts to, you know, certain people advancing on the show. I would have never ever imagined in my life that I would ever have fan pages or fan accounts that just dedicate time into making sure that – I don’t know people are just up to date with what’s going on with me. Aside from having all of that going on, my family is just so supportive. Every time they’ve been on the show recently, it’s just been an event. They make sure just it’s the funnest experience – inviting a bunch of our friends and family to watch and support me. It’s just such a good feeling because being a part of a show like this is – it’s mind boggling. It’s like how could I have gotten so lucky and how could I have gotten so lucky to advance this far at this point? It’s just really cool to see everybody participating in this excitement with me and it’s just a blessing, really.